In the forest, nothing stays the same for long. Canada’s forest cover is perpetually lost and gained through disturbances, regeneration and growth. But interestingly, nearly all forest lands remain forest lands. Canada’s forests are influenced by a range of disturbances that vary in severity, extent and frequency. 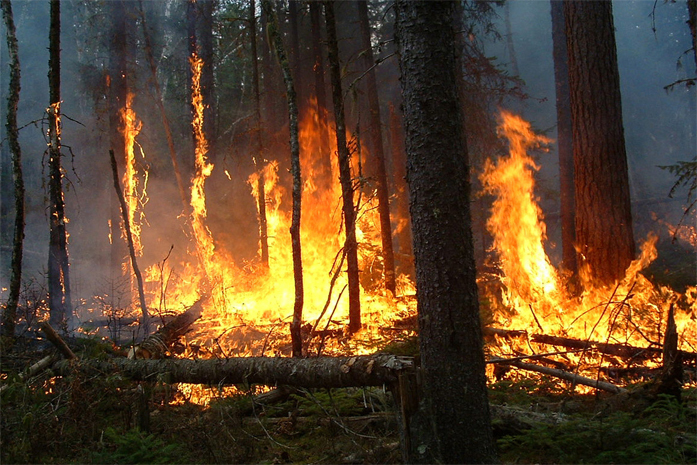 Natural disturbances such as fire, insects, disease, drought and wind storms all affect the forest and surrounding communities in different ways. Forest fires, for example, can reduce the availability of timber for harvest and can put the safety and health of communities at risk. Severe insect outbreaks are relatively uncommon, but may affect extensive areas of forest as they progress over time. Human-caused forest disturbances are mostly from harvesting. However, our evolving forest practices and regulations ensure forest renewal and ecosystem protection services, such as air and water purification and carbon cycling. Forest disturbances can also have a major effect on the environmental carbon balance. Forests are a vital part of the carbon cycle, storing and releasing carbon in a process of growth, decay, disturbance and renewal. The good news is that forest harvesting can often help restore the carbon balance by storing some of the forest carbon in long-lasting wood products. For more details on how natural and human disturbances shape Canada’s forests and affect the environmental carbon balance, visit the Natural Resources Canada website and download the 25th edition of The State of Canada’s Forests report.